The World of selling has been turned on its head in the past 7 years, with buyers now firmly in-charge. Coupled with the uncertainty in business outlook, times have never been tougher for sales people and sales leaders to produce results. 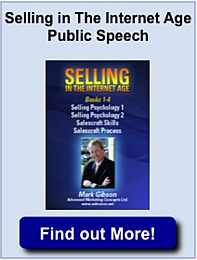 Selling in the Internet Age examines the changing sales and marketing landscape and offers salespeople, marketers and support people, new insight into how individuals and corporations buy and how they can level-the-playing- field with buyers. Discusses case histories of Inbound Marketing successes and failures, sales best practices take-aways and the best practices for the use and adoption visual storytelling technique. Includes links to downloadable tools and documentation.